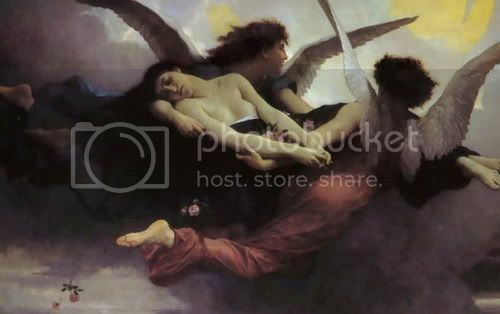 ~ detail from Willliam-Adolphe Bouguereau's, "Soul Carried to Heaven". This is just a note to say that as of ten minutes from now I will be away until Thursday morning. I apologize in advance for entries and comments I won't be responding to in a timely fashion. If you are interested, beautiful treatments of the originally-posted screencaps by wendylady1 can be found HERE. Those by stillscarlet can be found HERE.